No booking fees apply to tickets purchased through the Shaftesbury Theatre. The box office is currently open Monday to Saturday 10am to 7.30pm. The box office is currently open Monday to Saturday, 10am to 7:30pm. If you choose to print your tickets at home, please use the following instructions. NB: This process works from a computer attached to a printer. Unfortunately you will be unable to print from a mobile phone or tablet. Click “Forgotten password” and enter your email address. This will be sent to you straight away and you will now be able to access your account. Select the reference number of the booking you wish to print and then click ‘Print Ticket’. MOTOWN is a captivating story about the creation of one of the world’s most influential record labels, and its timeless music. We know that you may want to sing and dance along with your favourite songs, but please only do this when invited to; respect the cast on stage, letting their voices be heard, and be considerate of those around you. If you do get “carried away,” please do not be offended if you are asked to “moderate your enthusiasm”. You can only consume food and drink bought at the Theatre. We reserve the right to refuse to serve you alcohol. You should consider others and avoid disruption of their enjoyment. Abusive and offensive language and actions will not be tolerated. 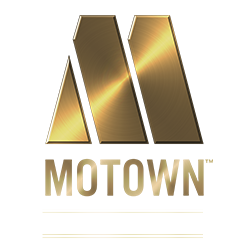 We hope you enjoy your visit to MOTOWN THE MUSICAL and the Shaftesbury Theatre.